"The ARM capabilities help us manage all of these devices automatically to ensure great performance for all of our users and each device." 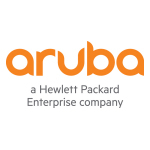 Aruba, a Hewlett Packard Enterprise company (NYSE: HPE), today announced that Avanade, the leading digital innovator on the Microsoft ecosystem, has outfitted its new, 67,000 square feet Seattle, Washington office with an Aruba mobile-first network. 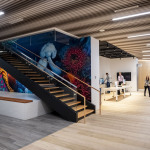 Aruba’s wireless, security and management solutions, will help Avanade optimize its real-estate and space usage to cut costs, improve productivity, and deliver a better user experience for approximately 800 employees in the new building, as well as those located in the company’s 45 other locations. In reviewing its key requirements for a new digital workplace that could provide mobile-first flexibility and open collaboration, Avanade turned to Aruba, due to Aruba’s strong partnership with Microsoft, as well as the breadth and strength of the Aruba solutions. 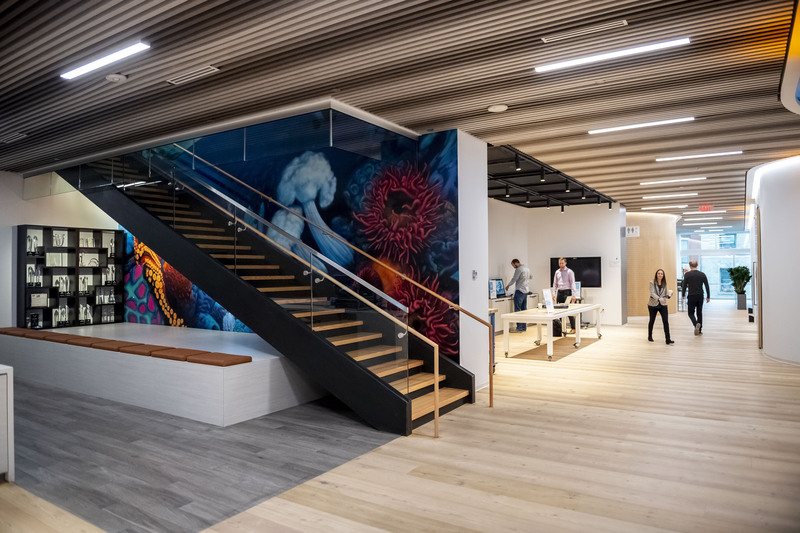 To that end, Avanade deployed Aruba wireless infrastructure across all three floors of its new office, Aruba AirWave for network management, and Aruba ClearPass for wired and wireless Network Access Control and guest access. The company is using ArubaOS 8, which enables Live Upgrades, seamless failover and RF management features, with Mobility Masters in each of its data centers to enable an easy migration for all 45 Avanade offices. The company’s IT team was particularly impressed with Aruba’s Adaptive Radio Management (ARM) which addresses interference issues that can occur with the multiple mobile devices each employee typically uses. With the Aruba network in place, Avanade can provide true hot-desking for employees, allowing them to reserve desks, offices and conference rooms through a mobile app. All desks are ergonomic and can be adjusted to meet each employees’ specific needs. 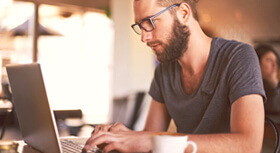 Each desk space is equipped with a 34-inch widescreen monitor and cable for both HDMI and Mini DisplayPort, accommodating the variety of workstations employees use. Avanade is also making good use of Aruba ClearPass for guest access. Avanade employees can visit a website to register guests and when the guests arrive, they can just enter their email address to automatically receive Wi-Fi access for the day. ClearPass also allows Avanade to accommodate its innovation team – a group that gathers a variety of products from different vendors and connects them to the network to test them – without compromising the corporate network’s security. Paradi notes that ClearPass will also help Avanade expand its IoT usage. As the company adds more wireless IoT to the network, ClearPass will help it identify and ensure the secure onboarding of new devices. The Seattle office deployment has been a success and will enable Avanade to extend the same network capabilities to the rest of the organization’s sites easily. Aruba’s location-ready APs will allow Avanade to add new capabilities such as location-based services to enable indoor navigation through the company’s facilities and locate colleagues within the facilities, using location sharing. Avanade is the leading provider of innovative digital and cloud services, business solutions and design-led experiences delivered through the power of people and the Microsoft ecosystem. Our professionals bring bold, fresh thinking combined with technology, business and industry expertise to help fuel transformation and growth for our clients and their customers. Avanade has 35,000 digitally connected people across 24 countries, bringing clients the best thinking through a collaborative culture that honors diversity and reflects the communities in which we operate. Majority owned by Accenture, Avanade was founded in 2000 by Accenture LLP and Microsoft Corporation. Learn more at www.avanade.com.